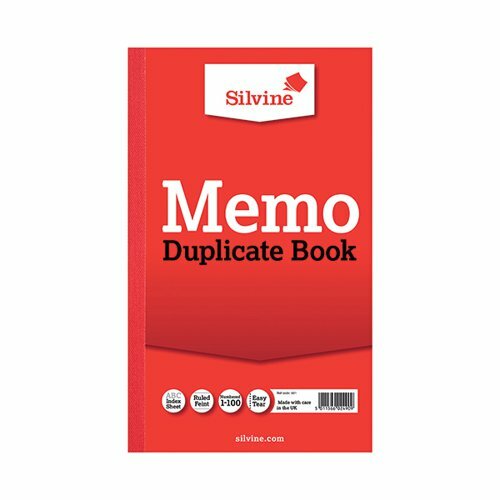 Silvine Duplicate Book - Memo. Manufactured from quality bank paper with laminated Red covers. Features include, white pages numbered from 1 to 100 with an index sheet and carbon paper.